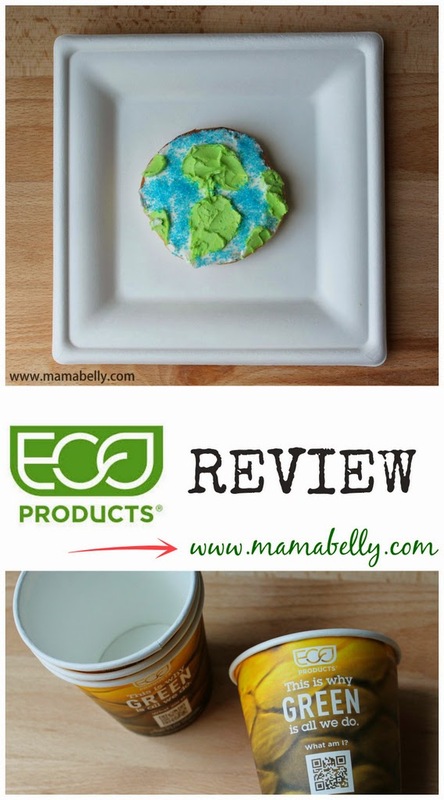 ECO-Products asked me to review a few of their products and when best to post the review on Earth Day! Disposable plates and cups are a reality in our busy family of six. No matter if it is a busy night full of sports practices, spring break or simply a busy weekend. Disposable plates more times then not help me stay sane during busy mealtimes (I use them infrequently but still often enough to want to make an eco-friendly choice). I am advocating for a waste-free and eco-friendly life style on my blog and you may wonder why I choose to talk about disposable dinner ware. Sustainable disposables sound like an oxymoron, but we do live in a consumer culture where disposables are simply every present. From coffee to-go to fast food restaurants and at home. What we can do is support the companies that try to provide sustainable disposables that are better for our earth. 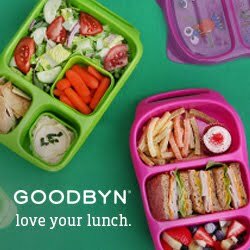 We have tried many "eco-friendly" disposables and more often then not the quality of the plates and cups were simply disappointing. Who wants dinner served on a soggy paper plate? The ECO-Products plates are different! I was impressed by the look and quality of the Square Sugar cane Plates! They look elegant and we tested serving several foods that easily make regular paper plates soggy. We were pleasantly surprised how amazing they were! No matter if salad, appetizers, breakfast or lunch the plates held up! This meal left hardly any residue on the plate! We love these plates and will buy them again! Even when we have guests over since the Square Sugarcane Plates are stylish alternatives to traditional paper or polystyrene plates and held up better then any of the plates we tried before. Toasted bagel with white and green cream cheese and blue sugar. Plus, these plates are highly versatile, strong, and cut-resistant. Sugarcane fiber products are BPI certified compostable and made from a 100% reclaimed and renewable material. The Sugarcane Divided Plates are a strong, grease and cut resistant alternative to traditional plastic or polystyrene. Sugarcane fiber products are BPI certified compostable and made from a 100% reclaimed and renewable material. They are also great for hot food, microwave friendly and compostable! We used the Divided Plates a lot during spring break for quick lunches at home and the kids were pleased how strong they were and that they keep their food apart! ECO-Products also sent us some of their Plantware® Cutlery! I just love the fun color choices! The Plantware® Utensils are renewable & compostable and is the only choice for compostable cutlery with a high-heat tolerance. New formulation offers strength and heat tolerance up to 200° F without relying on unsustainable virgin plastic resources. 100% renewable, BPI certified compostable and ASTM compliant. We also tested the 10 oz This is Why™ Hot Cups! We very rarely use paper cups and I forgot to ask for lids so I could not test out how practical they are on the go but I was pleased with they ability to stay strong with hot and cold liquids. They feature stunning imagery from the natural world and are both renewable and compostable. This means that cup was made from materials that can be regrown again and again, and after its useful life, the entire cup can be returned to the Earth as compost. I loved seeing the Carbon Footprint for each produst on the site! Great review! I love the earth bagel! Great post! I actually have eco-products in my post aswell.